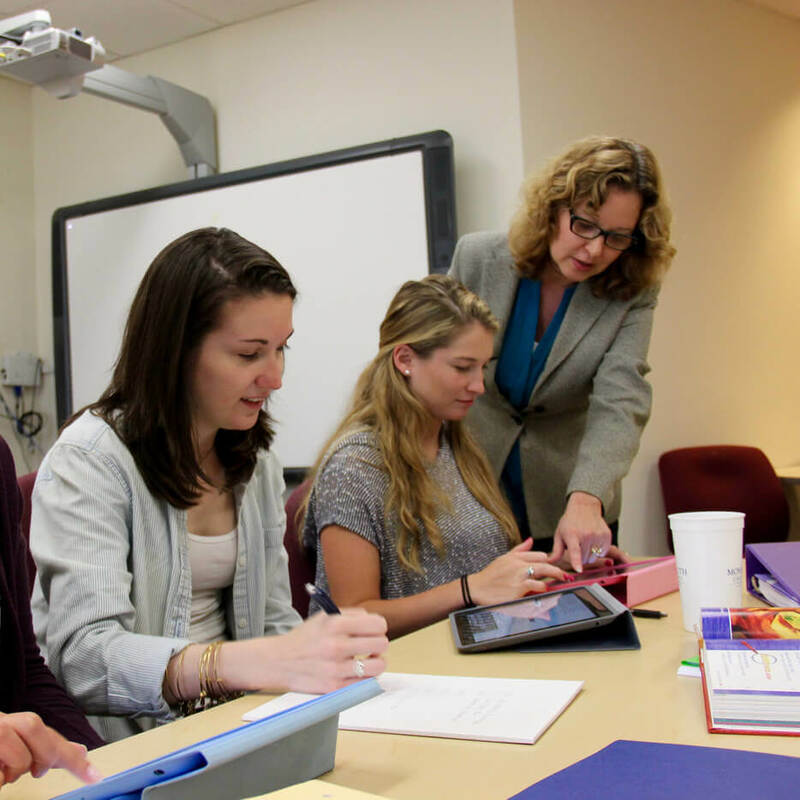 The Teacher of Students with Disabilities (TSD) Program and endorsement prepares teachers who seek to enhance their skills related to working effectively with diverse populations, families, colleagues, and the community. Comprehensive theoretical and practical experiences are provided to ensure that candidates are well prepared to address the learning, language, and social needs of a diverse population of students from preschool to high school. Must hold a Certificate of Eligibility with Advanced Standing (CEAS), Provisional, or Standard NJ instructional certificate. The Learning Disabilities Teacher-Consultant (LDTC) Program and endorsement prepares teachers to specialize in assessing students with special needs and to serve as learning consultants on child study teams. A main focus of the program is collaboration with teachers, support personnel, administrators, and families. The program is unique because it allows a full time teacher to maintain his current position as an educator and pursue this area of study in educational services. Field experiences are provided in K-12 settings under the Supervision of a mentor who is an LDT-C. Each field component is tailored to meet the needs of the candidate to maximize his goals in obtaining the certification as an LDT-C. Courses are offered in a variety of formats; on line, hybrid and weekly on campus. Upon completion, you must provide documentation evidencing completion of three years of successful teaching experience under a Standard NJ or out-of-state instructional certificate to be eligible for the endorsement. The Special Education Supervisor Track program provides advanced level content for teachers looking to take on leadership roles within schools and expand their expertise in the field of special education. This program is for licensed special education teachers who would like to acquire the New Jersey supervisor’s endorsement while working toward a more comprehensive understanding of special education methods, legal topics, and learning theories, as they prepare to become leaders in their schools. Must hold a Certificate of Eligibility with Advanced Standing (CEAS), Provisional, or Standard New Jersey Teacher of Students with Disabilities Endorsement.